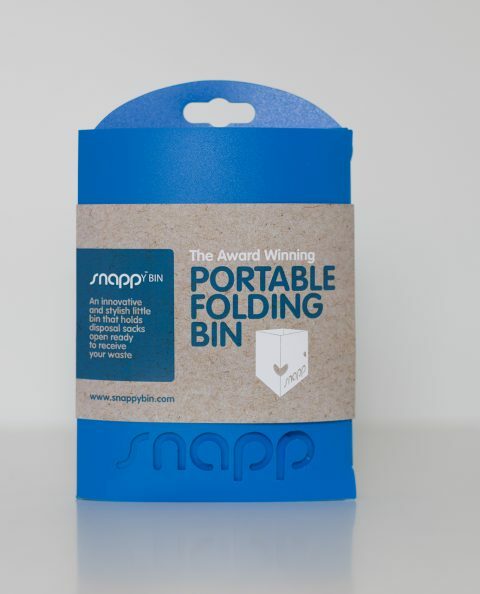 The idea for our first product was conceived shortly after our first sons’ arrival. After a long gestation period interrupted by the invasion of two further offspring, our fourth baby the snappY BIN has emerged ! Wherever I was, at home or out and about, nappy changes were difficult. One hand was pinning down my wriggling baby, the other hand was full of wipes and a dirty nappy…. so how do you get them neatly into the limp and flaccid nappy sack which is lying dejectedly by your changing mat awaiting its payload? Major surgical intervention wasn’t really an option, then it happened, my light-bulb moment, I realised that what I needed was a contraption to hold open and give support to my nappy sack. 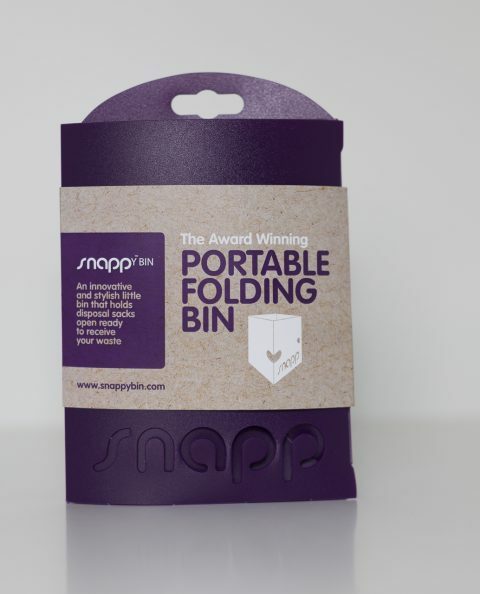 What we have created is a stylish and practical solution to this problem – the snappY BIN. 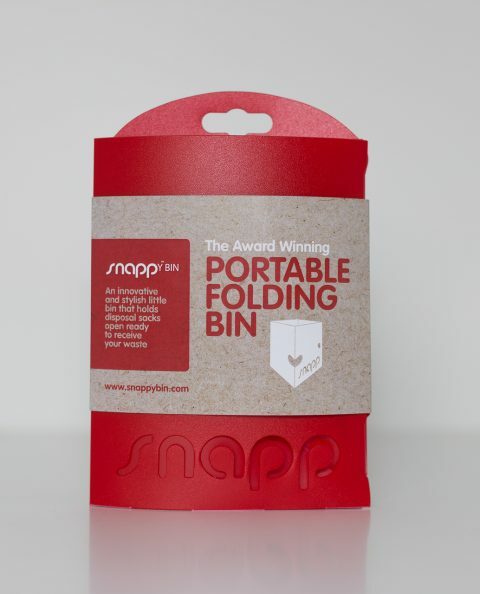 The snappy BIN can be preloaded with multiple bags and holds them open, ready to receive soiled nappies and wipes during changes. 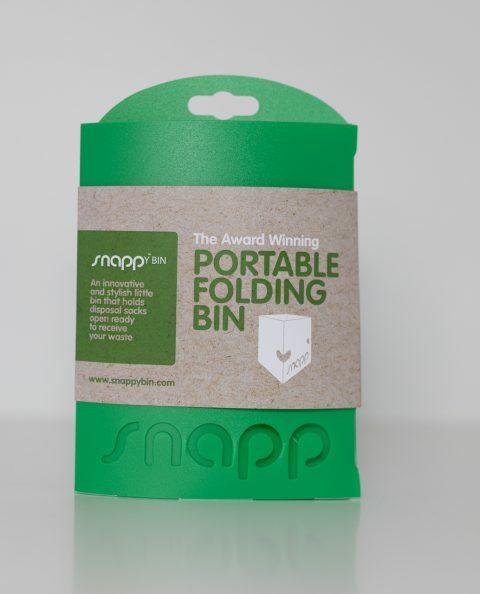 It can be folded flat for transport or to keep in your changing bag, and is easily snapped into shape to form a sturdy container when in use. It is an attractive addition to any nursery and you will wonder how you ever managed without it !